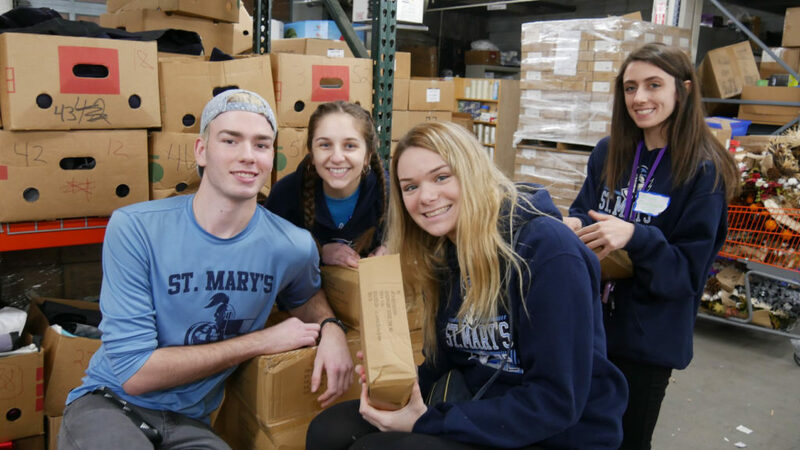 St. Mary’s High School seniors participated in a Day of Caring earlier this month. The class was broken up into four groups to spend the day at one of four local organizations, volunteering in whatever capacity was needed for the day. 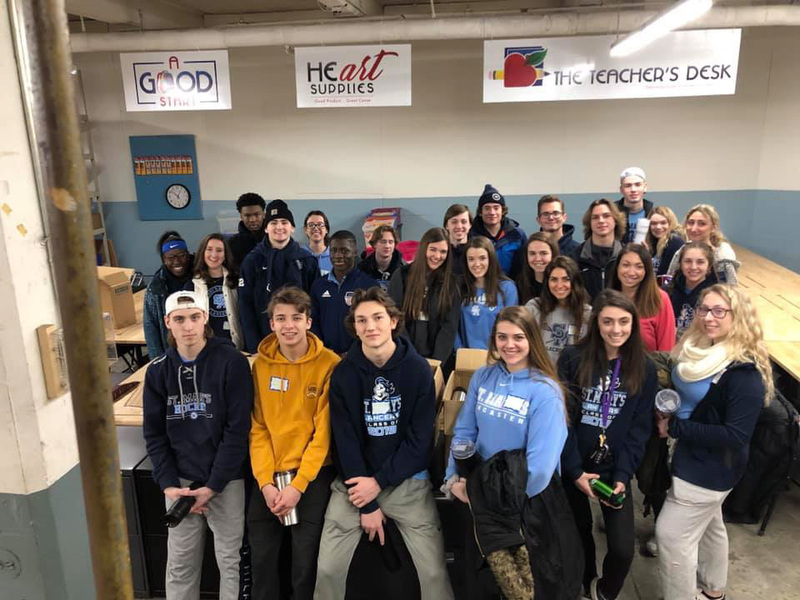 The seniors volunteered at Teacher’s Desk, The Mother Theresa Home, Harvest House, and the Food Pantry of WNY. 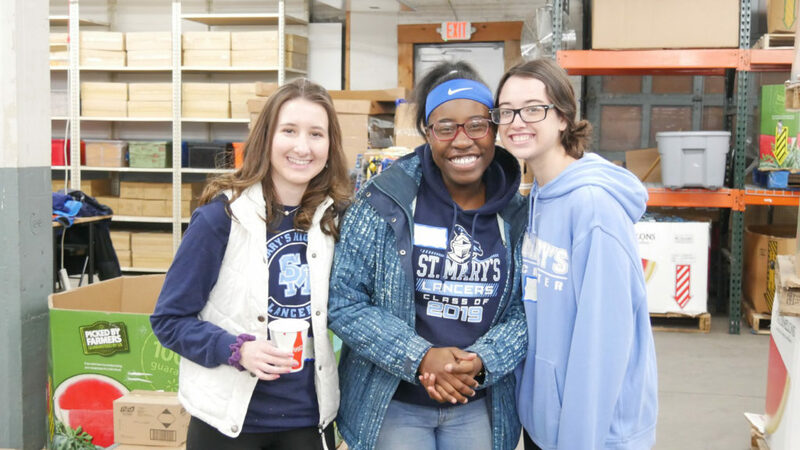 St. Mary’s senior Brianna Propis was part of the group that spent the day volunteering at Teacher’s Desk, an organization that provides free school supplies for teachers serving those areas of Buffalo most in need. Propis knows the importance of being able to give back to the community: “To be able to have these opportunities – to see and experience things we wouldn’t normally – is something I am truly thankful for. 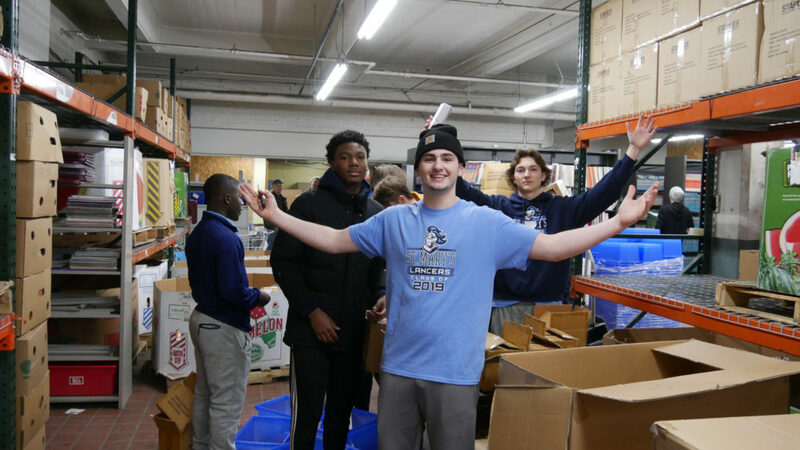 We need to look for every opportunity to put some good into the world, and that’s what we were able to do here today.” Senior Matt Vallone spent the day at Harvest House, cleaning and doing several other tasks, and saw the impact his one day at the site could have for the people who benefit from the organization: “I can’t wait to get even more involved in community service. The feeling you get from serving others is extremely powerful,” Vallone said.